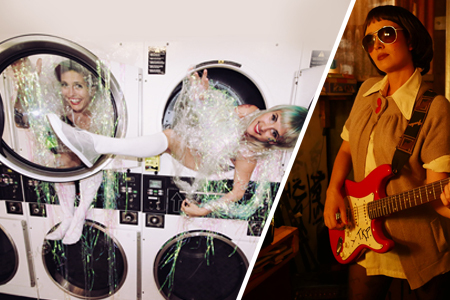 Award-winning electronic duo, The Ironing Maidens, ingeniously adapt real irons and ironing boards into electronic instruments to create techno bangers paying homage to the unsung female pioneers in music technology from the 1950’s. The Ironing Maidens have toured Europe and Australia with their fresh take on ‘women’s work’ to deliver a sound reminiscent of early Chicago house… with a housewife twist. Tegan Koster Project combines the synths of yesteryear, strong drum feels and quirky guitar lines, tipping her hat to a classic 80’s sound through a modern, avant-garde lens. Koster has played in a number of experimental bands in Europe before returning to Australia and forming the Tegan Koster Project. Composers of the Future Workshop with the Ironing Maidens on Thursday 7 March. Capacity very limited. Click here for further details.